Just a little outside Aurangabad City, a collection of ancient caves with marvelous temples, monuments and statues is located amidst lush greenery. There are 30 caves in this collection and out of which, five caves hold temples and the rest are all monasteries. This is an iconic attraction and historic landmark of the country. To appreciate the beauty of this cave, many tour providers provide packages that include these caves. 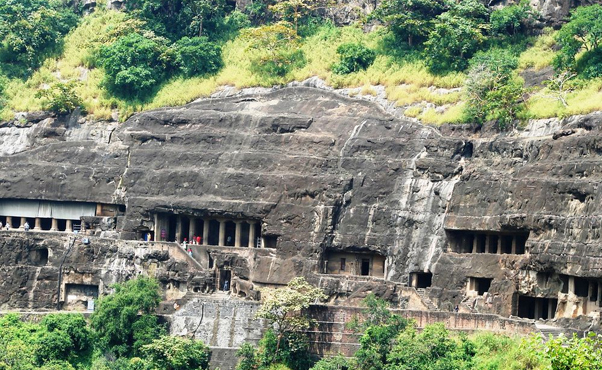 These caves are also a part of Deccan Odyssey and other luxury trains in the country. 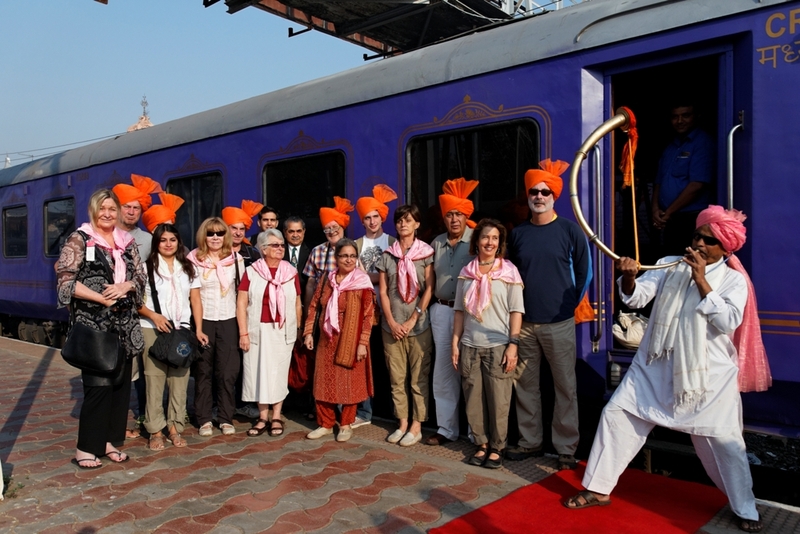 Deccan Odyssey train is a popular luxurious train in India and it is meant for tourism only. 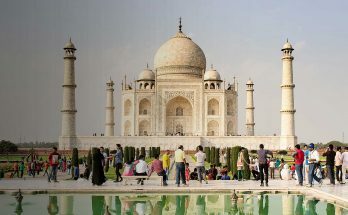 It has total seven different itineraries which cover different popular tourist places in India. The famous archaeological sites that covered by Deccan Odyssey journeys in Maharashtra Splendor are Ajanta and Ellora caves. The famous two caves Ajanta and Ellora attract a large number of tourists. Ajanta and Ellora caves are declared as UNESCO World Heritage Site also. Let’s know in detail about the Ellora and Ajanta tourist spots with Deccan Odyssey Train. The journey to Ajanta with Deccan Odyssey comprises Ajanta caves and some other places like Gandhi Teerth etc. 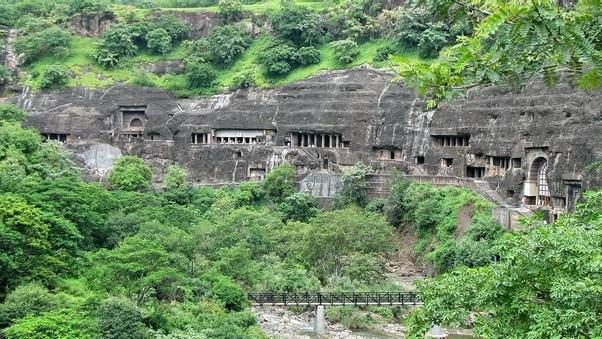 Ajanta caves are the prominent tourist place to be visited in Ajanta. Ajanta caves were the oldest one which was dated back 200 BC to 650 AD. These caves were carved out due to volcanic lava and it was discovered accidentally in the year 1819. Ajanta caves are the best example of the Buddhist development with the Mahayana group. The finest sculptures, paintings, murals, and ceilings attract thousands of visitors. Totally 30 caves were present and each cave is dedicated to different arts, paintings, and temples etc. Ajanta caves are in horse-shaped structure monument which is another attraction. The caves in Ajanta are known as “Chaitya Grihas and Vihars”. Caves 9, 10, 19, 26 are known as “Chaitya-Grihas” which are popularly known as ancient sanctuaries. Chaitya-Grihas are the ancient monuments constructed in the 2nd century. Other caves are known as “Viharas” it means monasteries. Nearly 20 Viharas are newly constructed after the ancient period by Vakataka kings. 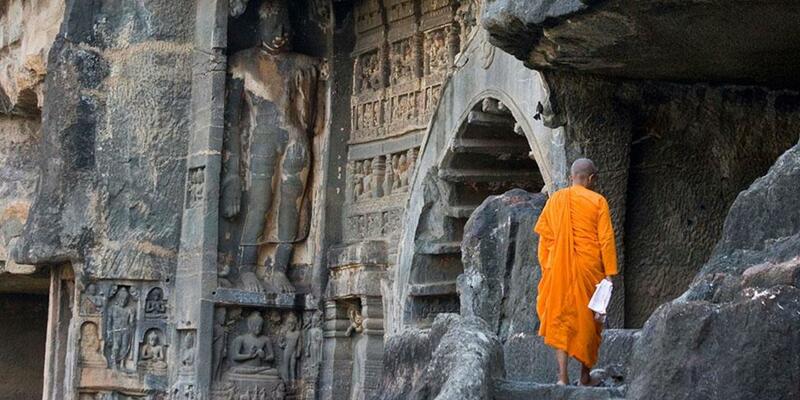 These caves are dedicated to Buddhist religious complexes. Different sculptures and statues of Buddha attract in these caves. The major attraction of Ajanta caves are the paintings. At 1,500 years back beautiful natural colors were used by the technique of using minerals and plants. The famous paintings in Ajanta caves depict the mythical works of Nagas, river goddesses Ganga, Yakshas, Vrikshikas etc. The paintings in Ajanta mostly depict the subjects of Jataka tales and the life of Lord Buddha. The famous caves to be visited in Ajanta caves are 1, 2, 4, and 17. Cave 1 is popular for paintings, murals, and grand doorways. Cave 1 is known as Royal Vihara which is completely dedicated to Buddha life scenes. Paintings in this cave are still fresh and not damaged and depict the art of ancient India. The three doorways to this cave are another attraction. Cave 2 is famous for paintings on walls, pillars, and ceilings. The murals on the walls depict the life of Buddha and the large pillars with ornamented structures attract tourists. The ceiling in this cave is the center of attraction with birds, fruits, flowers, and devils carvings. Cave 4 is the largest vihara in this cave which is created in the 5th century. But this cave was partially collapsed but it still attracts a large number of people. Cave 17 is the beautiful Vihara which is famous for the richest collection of murals. Murals on ceilings are the major attraction of this cave and the interesting object here is the Sassanian servant holding a Sassanian vessel on the left rear wall. The Cave 10 is another important site here as it is the oldest cave in the collection. The cave monuments in this cave were built during 1st BC. No fee for children below 15 years. Timings: 9 AM to 9:30 PM (Monday closed). Gandhi Teerth is the famous research center in Jalgaon. It is an international center to preserve the ideology and philosophy of Gandhi. This Teerth was located at Jain Hills in the center of lush greenery and beautiful lawns which attract tourists. Gandhi Teerth comprises museum, research center, GRF Think Tank, and Gandhian etc. 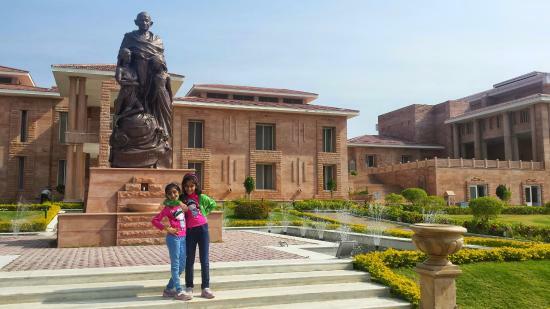 The museum holds the ideology, life-lessons of Gandhi etc. The research center awards diplomas, degrees to the students in the research of Gandhian studies. Gandhian is the collection of different things and publications on Gandhi and by himself also. Gandhinomics is the section of rural development programmes by the ideology of Gandhi. These are the attractions of “Gandhi Teerth”. Timings: 9 AM to 6 PM (closed on Monday). 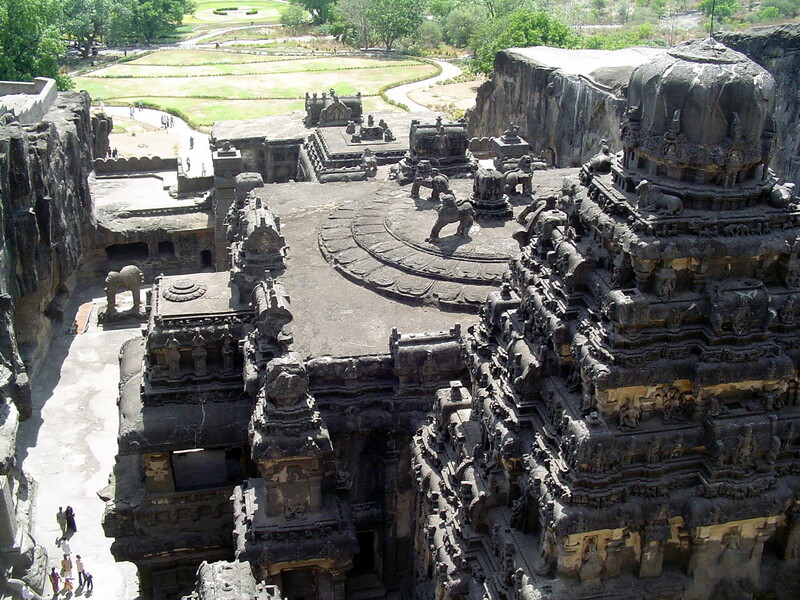 Ellora is another historically significant city in Maharashtra. The famous tourist spots that are covered by Deccan Odyssey train itinerary Maharashtra Splendor in are the Ellora caves, Ghrishneshwar Temple, Siddharth Garden etc. Other beautiful caves in Maharashtra are the Ellora caves at Aurangabad. Ellora caves are defined pilgrimage spot to Hindus, Jain, and Buddhist. Totally 34 caves were there and 12 were dedicated to Buddhism, 5 were dedicated to Jainism, and 17 were dedicated to Hinduism. Among Hindu caves, Kailasanatha temple is the popular and famous for rock-cut construction at Ellora. Ellora caves are completely dedicated to three religious. Let’s know the attractions of each religious caves. (Caves 1 to 12) were the earliest construction that had taken place in 5th to 7th centuries. In Buddhist caves different monasteries and viharas attract tourists. These monasteries are large sized, multi-storied buildings carved out of a rock, sleeping quarters, and other rooms. In Buddhist caves, Cave 10 “Vishvakarma cave” is the popular one which is also known as “Carpenter’s cave”. This cave holds a beautiful ceiling which looks like wooden work. The center of attraction of this hall is the 15-foot statue of Buddha in a preaching pose. (Caves 13 to 29)were built in the time of 6th century to 8th century. These caves are an example of the different styles of creative and execution skills. The famous attraction of Hindu caves is the Kailasanatha temple in cave 16. This temple was dedicated to Lord Shiva and it is a multi-storied complex temple. Interesting fact about this temple is it was carved out of single rock. (Caves 30 to 34) were constructed in the 9th to 10th century. These Jain caves represent the philosophy and tradition of Jain with asceticism. The famous shrines to be visited in Jain caves are the Chhota Kailash in cave 30, Jagannath Sabha in cave 33, and the Indra Sabha in cave 32. Some other famous caves to be visited in Ellora caves are cave 1, 2, and 15. Cave 1 is a simple vihara and it features 8 monastic cells. Cave 2 is popular for 12 ornate pillars and the Lord Buddha seated on a lion. The doorways to the cave is another attraction with an amazing carving of Maitreya Buddha and Padmapani holding a lotus. Cave 15 is famous for Dashavataras of Lord Vishnu and the ten avatars of Lord Vishnu was neatly depicted in Ellora. Timings – From Sunrise to Sunset (Closed on Tuesday). Ghrishneshwar Temple is another famous temple near Ellora caves. This temple was famous for 12 Jyotirlingas and it was built by Ahilyabhai Holkar. This temple is also known as Kusumeswar and Ghushmeswara. A number of tourists visit this temple to see the architectural style and the inscriptions of the temple. The festival Maha Shivaratri is the famous festival and nearly thousands of people visit this temple. Siddharth Garden is a beautiful garden at the center of Aurangabad city. This garden holds outdoor fun spots, picnic places, and large covered garden. The different trees, lawns, and beautiful flowers attract tourists to visit. This garden mostly loved by the joggers and nature lovers. Another attraction of this garden is the small aquarium and this aquarium holds variant fishes. This garden is the best place for relaxation and to seek the beauty of nature. 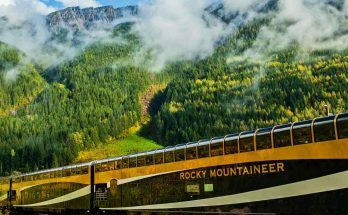 This itinerary spans for seven nights and eight days. On the fourth day, the train takes you to Jalgaon station. Sightseeing and exploration tours will be arranged in Ajanta caves. This itinerary focuses on all attraction in and around the mighty Deccan plateau of India. This itinerary spans for seven nights and eight days. On the seventh day, the train reaches Jalgaon station and will be taken on a road trip to the caves. 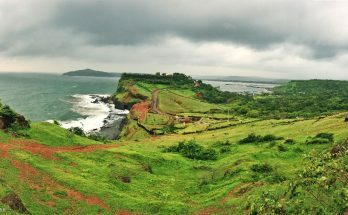 This itinerary spans for seven nights and eight days and it focuses on the wildlife attraction and other iconic attractions of Maharashtra. 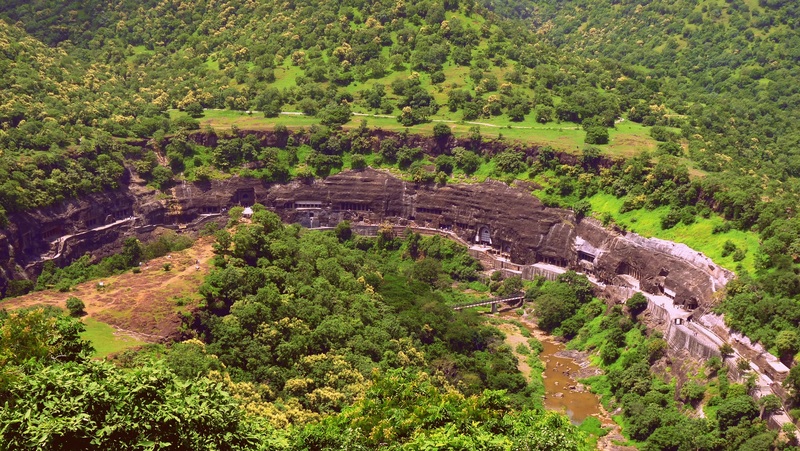 On the sixth day, road trip to the Ajanta Caves will be arranged for sightseeing and exploration.